Home / QuiBidder of the Week – Susan F.
It’s Monday, which means it’s time to share the bidding experiences of a new QuiBidder of the Week! Congrats Susan F., who will receive a $50 gift card for sharing the below story with us. If you’d like to be featured here next, simply take a photo of yourself with your QuiBids wins, tell us about your wins and complete the form here. 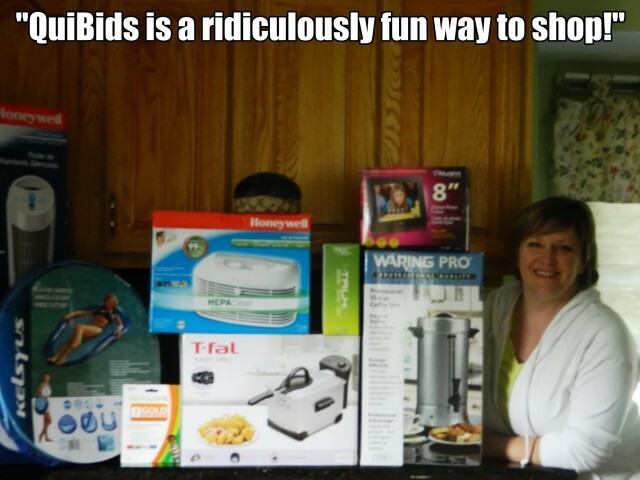 Continue reading to learn more about Susan’s experiences on QuiBids. Thanks Susan for sharing your story! She will receive a $50 gift card for submitting her photo and story on the blog today. Feel free to congratulate her in the comments below. Do you want to tell us your QuiBids story and become the next QuiBidder of the Week and win a $50 gift card of your choice? Then go here to submit your story and supplemental photo. Happy bidding! QuiBidder of the Week – Justin T.